The evening of Monday, May 5, was truly beautiful. After a long wait spring finally arrived and the weather could not have been nicer. When I arrived at Trinity High School in Stamford, the parking lot was almost full and you could see many excited people. That evening was the first of many listening sessions we had put together prior to the Fourth Diocesan Synod. The auditorium in the school was filling nicely, and people seemed friendly and interested in the event. They came mostly from Stamford, though other towns and parishes were represented as well. I did not count all those present, but it looked like we had about two hundred attendees. A few minutes past 7:30 pm the meeting began. On the stage there was a long table. Next to me were the members of the Synod Commission: Damien O'Connor, Carol Pinard, Deacon John DiTaranto, Martha Missiner and Msgr. Dariusz Zielonka, who ran the meeting. All of us were there to listen to the comments and opinions of the participants of this first listening session. As you can see from this sampling of the listening session's comments, many people from various walks of life contributed to the richness of this meeting. Personally, I was impressed with the mutual respect and considerate manner the comments were made. Sometimes the speakers brought up opposite points, and yet all were given a chance to express their ideas freely, without being judged. On occasion, spontaneous applause broke out after a comment. Since the purpose of the session was for me and the Synod Commission to listen, there were no comments or answers made, except my final remarks. What happens next? 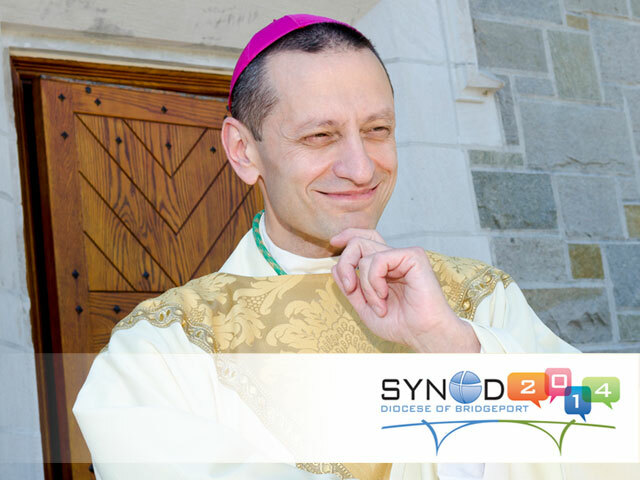 The input from all listening sessions and the online forms will be processed by the Synod Commission to place all comments into proper categories, i.e. "liturgy," "youth" or "administration." Then study committees will examine these comments and present them to the General Delegates who will discuss them at the Synod's General Sessions. Your participation is important! If you have not decided yet, please make plans to attend one of the listening sessions. Please use the online forms (www.2014synod.org) to express your idea more freely. Remember that the deadline for Form G and LS is June 15, 2014! I look forward to seeing you at the next listening session!